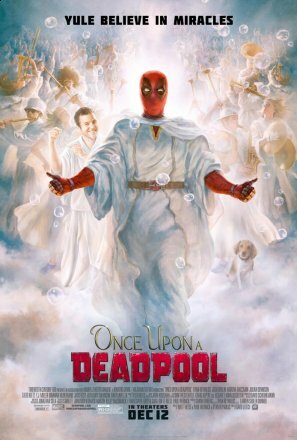 The initial idea of re-cutting Deadpool 2 as a PG-13 film brings up all the worst in-flight movie experiences we’ve ever had, but we’ve seen the trailer and we love the ‘Princess Bride’ angle with Ryan Reynolds and Fred Savage. Now the only question is whether Fox can upcycle an already successful film and turn it into box office gold for a second time. Check out the new poster that they released today. It’s heavenly!